Reduce the time required for determining a casing point by correlating the current drilled well with offset wells. The wells in a production field have abnormal pressure gradients in a shale-sand layered reservoir. The relevant beds need to be accurately identified in order to set the casing before reaching the over-pressured zone. The operations team need to determine this precise casing point in the least possible time. Use GEOX-Section to enable the well-site geologist to correlate current drilled wells with four other nearby wells. 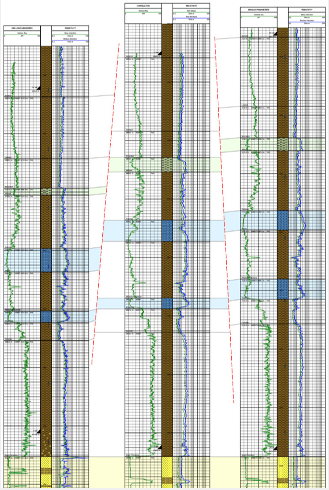 Prior to drilling, the well-site geologist is able to create a correlation between all four offset wells, leaving a blank space for the well that is to be drilled. During drilling, the well-site geologist is able to draw the correlation between all the wells’ lithologies, and also correlate the resistivity curves for each well, knowing that resistivity values and trends vary depending on specific sand formations. 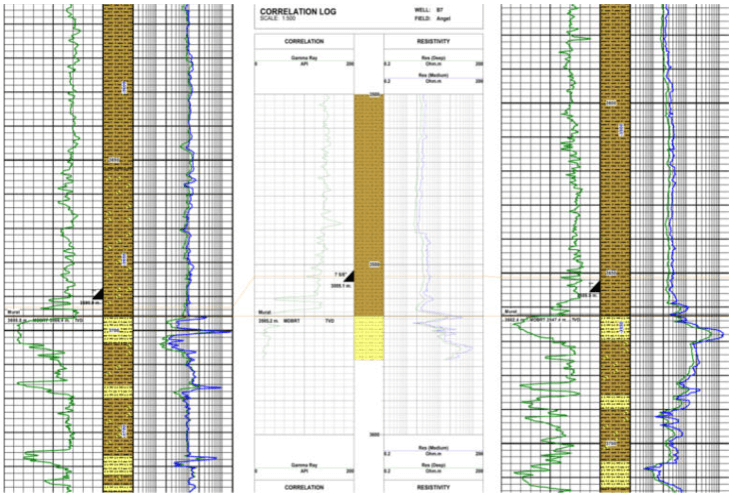 By correlating the resistivity values at the well site during the acquisition of data, it is possible to clearly see the sand formation being drilled. As a result the well-site geologist is able to alert everybody when the casing point is reached. The use of GEOX-Section in this way enables rapid decision making, saving rig time, money and avoiding potential hazards.